The launch of iPad has revolutionized the way people would think of apps. iPad is fast becoming the ultimate business tool. It helps in excelling the parameters of business across the world. Ewebtonic is the World-Class iPad Application Development Company based in Patna, Bihar. We offer proficient Ipad app development services to find you feasible solutions to your business needs. 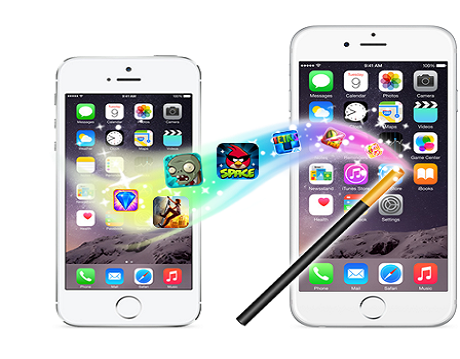 Our team develops iphone applications right from scratch by coordinating with the clients. After establishing a proven team of iPad Application Developers at Patna, the IT hub of Bihar, Ewebtonic.com.au has set up a state-of-the-art iPad App Development Company in the heart of Patna area. This center focuses on supporting the Bihar based clients with. We still remember the day when iPad App Store opened for the first time and an app developed by the core app developers at Ewebtonic had worked passionately to meet the deadline to make it to the App store on day one. We had succeeded and that was a moment to cherish, a moment of pride for us. Ewebtonic has taken for the wave of iPad app development with a bunch of highly successful iPad apps in Bihar. If you have a great ios app idea, just contact us. We cater to the interest and requirements of every individual. Our iPad professionals are trained to offer a real tablet experience using its hardware and software peculiarities. Our graphic designers can design personalized Mock, Prototype for iphone applications. Multi-touch technology and extraordinary features.